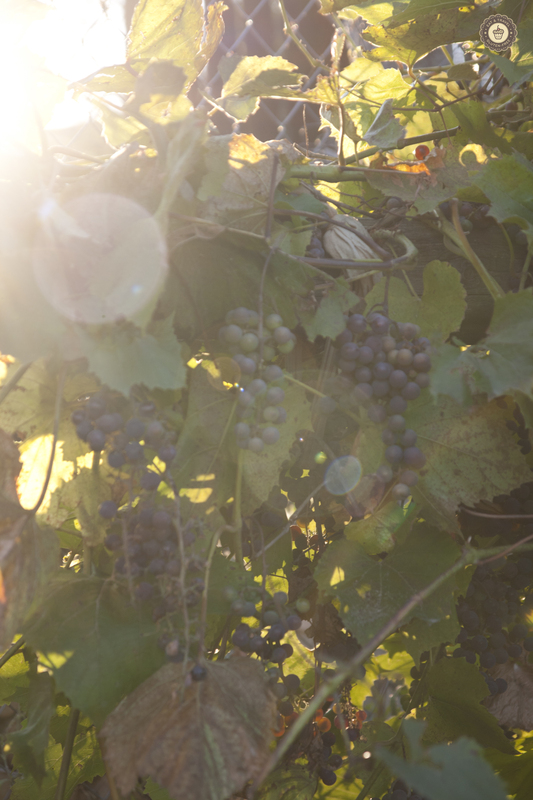 I remember as if it was yesterday – warm, summer rays of sunlight forcing their way to our Grandma’s backyard, shining through the grape creepers surrounding Grandma’s house and everything around it. The smell of fruit ripening in the orchard, their juicy and unique taste. And that joy, when every day new delicacies appeared in the backyard and our Grandma would change them into winter preserves with just a few stirs of a spoon. The little heaven of my childhood. My hands red from raspberries, my dress stained all over with strawberries and me running three times a day to the orchard to check if the first pear has already fallen from the tree. And among all these pictures going on in my head like the most beautiful movie, there is one memory from the time when I was five years old: the first cake we ever made with my brother – the aroma was so tempting that we couldn’t take our eyes off the small screen of Grandma’s old remoska. We could see the sponge cake plumping up all over slightly browned apples. White transparent apples, vanilla, the magic of summer holidays, a country kitchen and wild joy – our private Eden. The love of natural ingredients and the fun in the kitchen are still in me, although due to the celiac disease, which I was finally diagnosed with and which was literally killing me for long time giving all possible symptoms, I had to radically change my old habits. I can’t say, however, that the information that I had to go on a gluten-free diet terrified me. I know that many people take this information as a complete disaster. A vision of a totally different nutrition seems to be the worst nightmare as suddenly nobody knows what to eat – gluten seems to be everywhere. However, to me a „gluten-free diet” sounded like a real adventure; I thought it would be cool, I would learn again how to cook from scratch – after all it’s like reading your favourite book all over again without knowing the end. And there was a lot to learn… Countless amounts of different flours and groats that I’ve never seen before, gluten hiding in the least suspected products in a sneaky way, and the ability to combine all of those new products into a tasteful and valuable meal. I threw out my very first gluten-free cake – along with the bowl, the spoon and the sponge since I wasn’t able to clean any of them. I was terrified by the dough consistence – it didn’t look like food at all, so I decided to try to do it in a different way. And that was when I started to mill various grains on my own and then combine different types of gluten-free flours. A lot has changed since then – mostly in the availability and the assortment of gluten-free food. Back then I lived in Warsaw – I had to drive downtown to buy a mix of gluten-free flours and only some three „mixes” were available on the market at that time, two of which were totally useless… Then I moved to Belgium and was really shocked & stunned by the level of people’s awareness of the dietary restrictions, the availability and the diversity of products that I could eat, the possibility to eat out – back then all these things were truly mind-boggling to me. All of a sudden, a few minutes walk from my home would give me an access to three huge food stores. I could buy so many gluten-free products that I wasn’t able to follow with ideas for my meals. Two of these shops were supermarkets – back then in Poland it wasn’t even possible to stock up on gluten-free food other than fresh fruit and vegetables in supermarkets. In order to buy anything, you’d have to go to a store with the special dietetic purposes food. Now, everything is different. I have the impression that our country has finally „woken up” and is developing more and more in this matter – gluten-free food can be found in many popular supermarket chains like Piotr i Paweł, Alma, Tesco, Delikatesy Centrum, Auchan, Real, Biedronka or Lidl and not only in the „healthy food” stores. More and more restaurants are introducing gluten-free menus and addressing the needs of people who are on a gluten-free diet. Also, more and more manufacturers are marking their products as gluten-free. Public awareness in terms of detecting coeliac symptoms, its diagnostics and treatment, is growing. Obviously, we are not yet in the same place as Italy, Spain, United Kingdom, Portugal or Germany but the situation is definitly improving. I believe we are heading towards a better future. Nevertheless, many people who go on a gluten-free diet feel disoriented and helpless – doctors tend not to provide necessary support and looking for information on your own ends up with a conclusion that you still don’t know anything – mass media very often provide wrong and misleading information and made up theories. Speaking of which – I once came across an article that classified pearl barley as an example of a gluten-free grain. Right next to this brilliant revelation was a whole wheat penne with veggies and soy sauce serving as an idea for a gluten-free dinner. Some other time, I read a comment on an Internet forum, when a mother of a child, who was supposed to be on a gluten-free diet, claimed that regular corn rolls, bought in any random bakery, don’t contain gluten. The shop assistant advised the mother to just roast them over a gas flame. I have also heard that gluten may be released while grinding pepper – there is no gluten in the pepper itself, but apparently it is the grinding process that makes the gluten magically appear. Over the past years, I’ve heard and read so many opinions that were really not thought through and I witnessed many unpleasant situations resulting from them. Therefore, it doesn’t surprise me anymore that this diet raises so many questions, is controversial and confusing. It is exactly for this reason that I believe spreading the reliable information is necessary to help people suffering from coeliac. This is basically why I started this blog – to express my passion for cooking and photography, and also to help the people who suffer from the same disease and are just starting their gluten-free life. To help those looking for honest, reliable information with a little bit of inspiration and ideas. I hope you will be able to find here anything you need. From my side, I give you my promise to do my best to make this place a great source of knowledge (obviously with a bit of good humour 😉 ), and examples of a mega tasty moments without gluten! Because after all, a gluten-free life is a really nice journey – a never-ending trip for new and fascinating flavours.